This article was first published in Hype & Stuff on 10 March 2017. 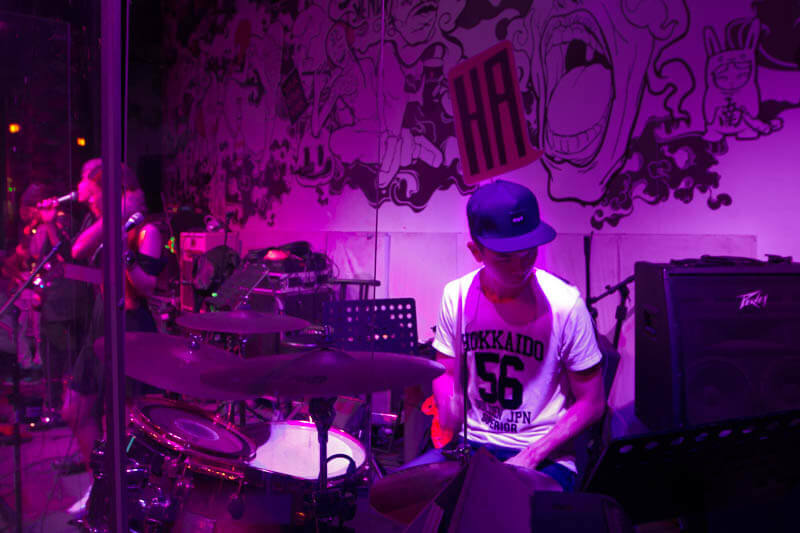 2017 has marked the first for many things — the same goes for energetic pop and rock cover band, Hoodw¡nked, who performed their first gig at Hood Bar & Cafe early this January 2017. Hoodw¡nked plays every Saturday night from 9pm to 1.30am and we’d heard good things, so of course we had to go and check them out. 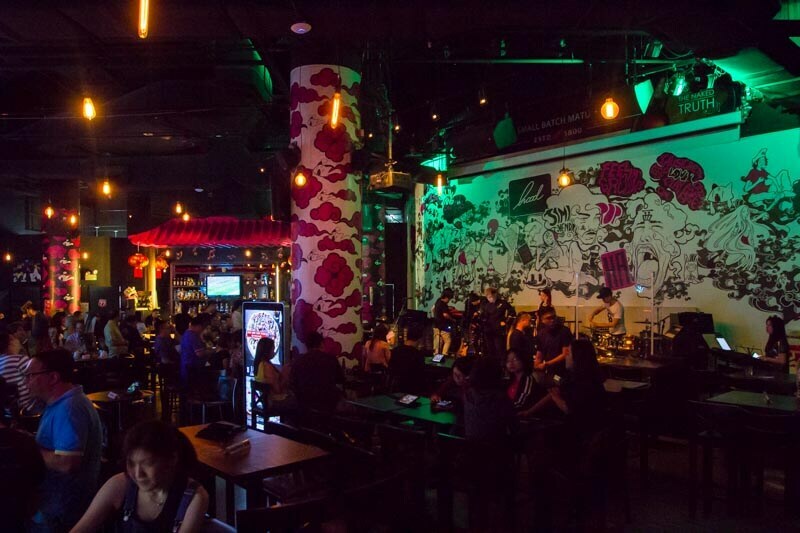 Like most bars, the interior of Hood, Bar and Cafe is dimly lit, accentuating the vivid hues of purple, green and blue. 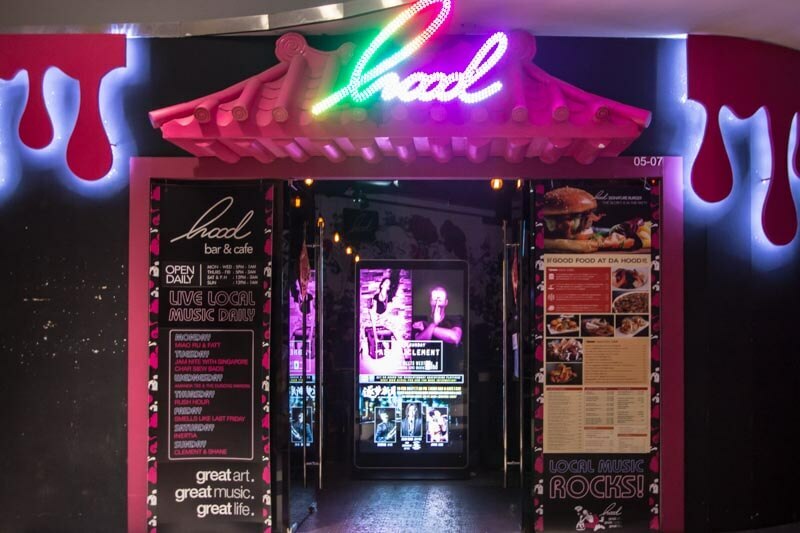 What stood out, however, was its contemporary furnishing, with murals displaying iconic local characters such as Sharity Elephant, Phua Chu Kang and the Merlion, exuding a very funky yet local ambience. Rid yourselves of the notion that newly-formed bands start on rocky ground and have a tendency to underwhelm; Hoodw¡nked is not your average band. Its members are veterans in the field and are out to impress with their eclectic selection of English and Chinese covers. 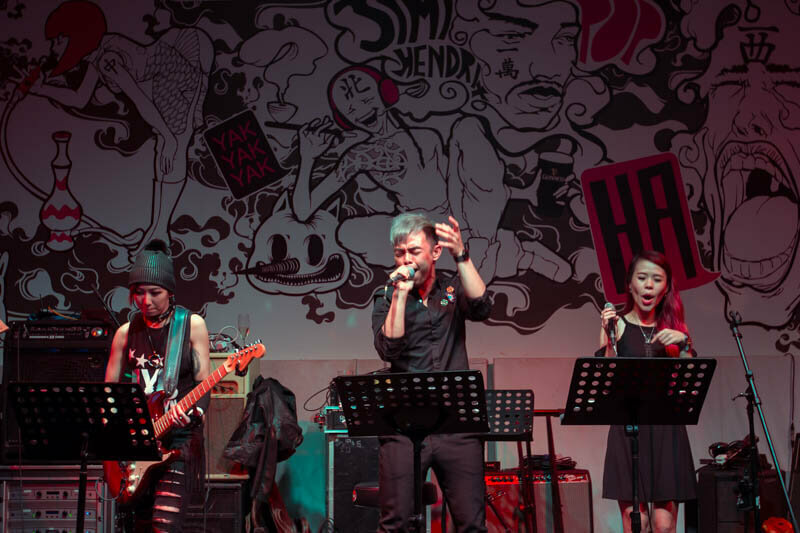 From left to right, Hoodw¡nked features Joann on the keyboard, Chap Chee on the drums, Mint Leong as the female vocalist, Juni Goh as the male vocalist, Elaine Khoo on the guitar and Charlene Looi on the bass guitar. 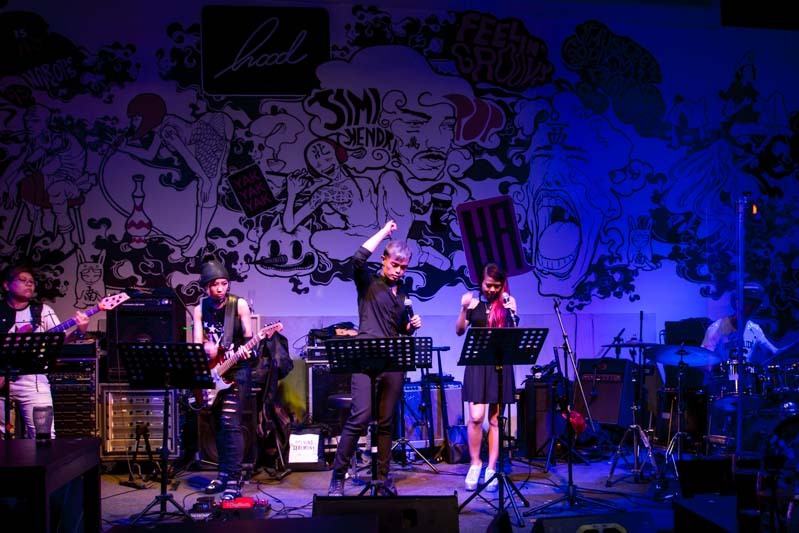 The sextet opened the night with Mayday’s “Party Animal” (派对动物) where Juni’s soaring and bold vocals dominated and enthralled those in the room. On a disappointing note, the female vocalist, Mint, was unable to make it for the gig when we were present. She was replaced by Mary, who then took on Hong Kong-based singer, GEM’s rendition of Taeyang’s “Eyes, Nose, Lips” (红蔷薇白玫瑰). 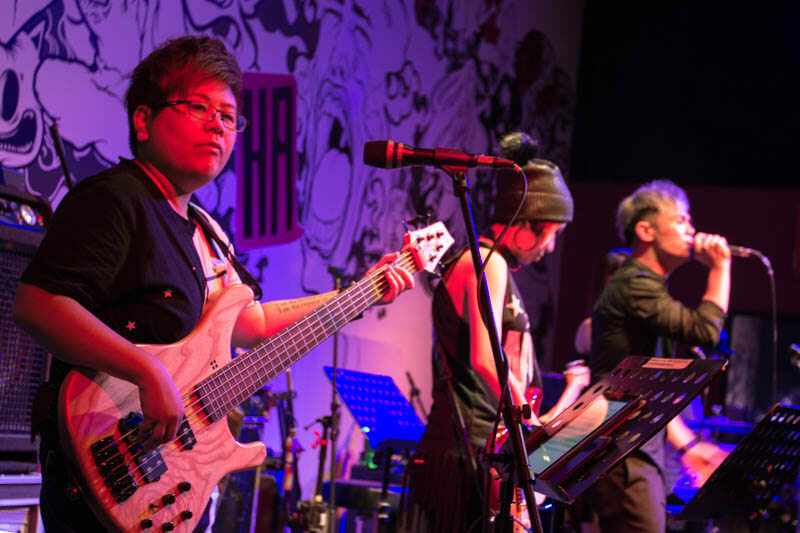 The band proceeded to transfix us with other pop classics such as Beyonce’s “Love on Top”, Imagine Dragon’s “Demons”, Jay Chou’s “Love Confession” (告白气球), Meghan Trainor’s “All About That Bass” and more. 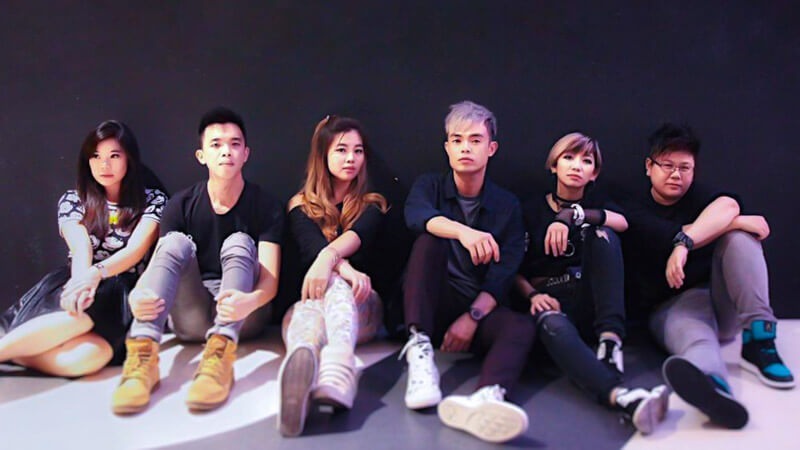 Fun fact, did you know that their guitarist, Elaine (lady in the middle), has had the opportunity to work with Stefanie Sun, Supernova and Queen? One of the highlights was Juni’s cover of “Actor“ (演员) by Mando-pop singer, Xue Zhi Qian (薛之谦). Juni, who sings the tenor in MICappella, a Singaporean Acappella group, touched us with his deep and rich vocals. 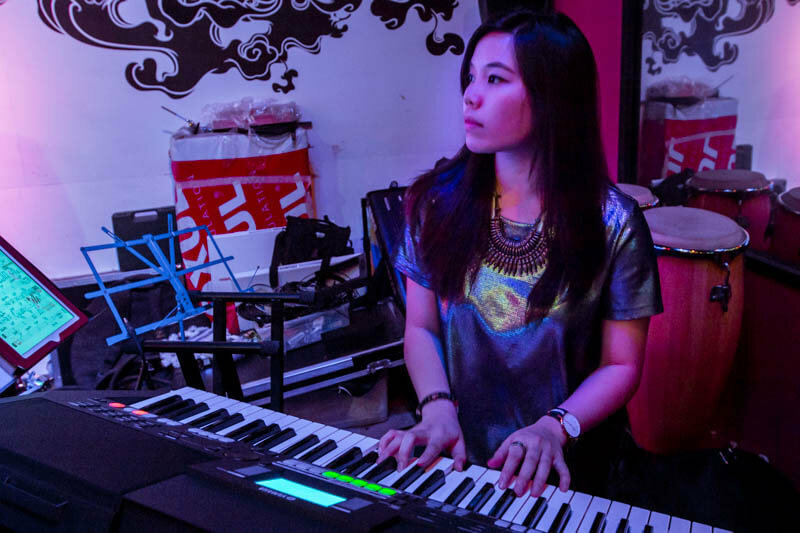 This, paired with keyboardist Joann’s inclusion of subtle trills, made Juni’s rendition a crowd-pleaser. 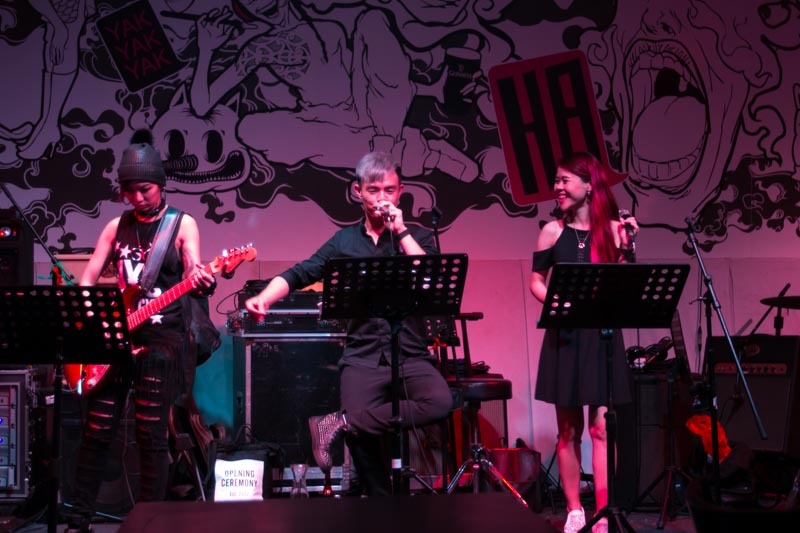 Throughout the night, the band earnestly interacted with their audience, fervently taking on song requests, song and birthday dedications, and not forgetting chugging a few drinks in between. At one point, Juni showcased his lesser-known talent: Erhu imitation. We found it hilarious and gave him extra credit for making it sound so real. 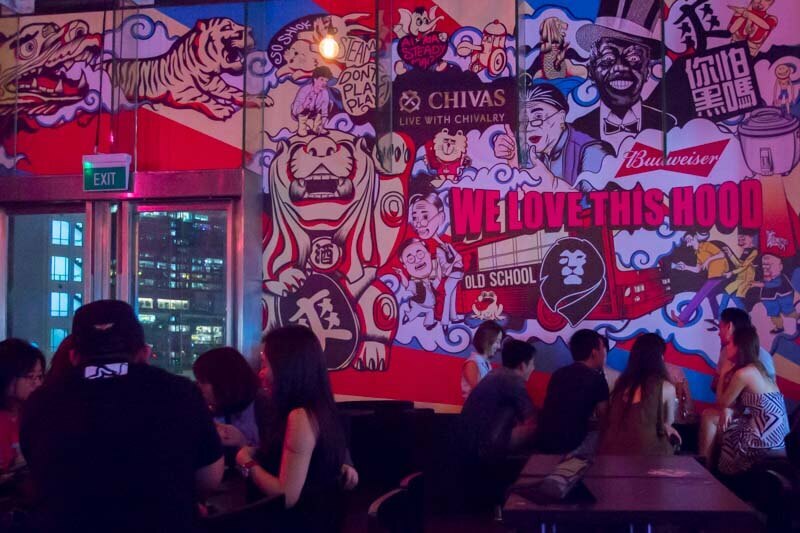 Hood Bar and Cafe also offers affordable, in-house, savoury snacks and modern cocktails to add to your late night indulgence. 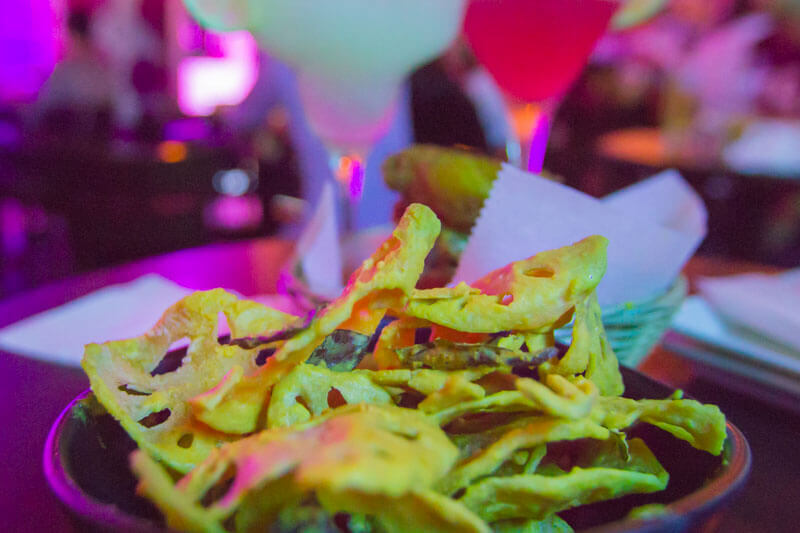 We had ourselves the Salted Egg Lotus Chips ($12) to pair with our drinks, a Cosmopolitan ($14) and a Margarita ($14). Each night, a different band plays and this easily makes Hood Bar and Cafe the epitome of local art and music. Hoodw¡nked will be there once a week though, and they’ve thoroughly impressed us with their showcase. Coupled with affordable and good food, it has undoubtedly left us longing to return for more.